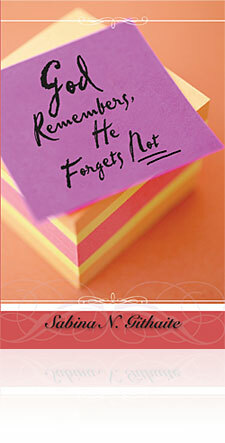 Wherever you are in this life, you will find encouragement in God Remembers, He Forgets Not. Every reading of this in-depth devotional book will give hope to every challenge you will ever face. Begin a thorough study of the book founded in the time-tested Word of God. It will encourage you to lift up your eyes to the only God who remembers you, and cannot forget you. Here is your opportunity to draw truth and revelation from the nuggets in each chapter, and transparency of the author providing a road map of God’s promises for you to discover and rediscover.